The US custom gaming PC maker CyberPowerPC has announced that gamers can now order the new Trinity gaming PCs. The brand name Trinity is derived from the unusual but cool-looking chassis that the computers come with. It looks like a three-blade cooling fan, which is something new for the computer industry! One thing is for sure, though – owners of Trinity PCs will have some serious bragging rights! We’ll say a few words on the chassis first as it is the first thing that you will see when looking at a Trinity PC. According to CyberPowerPC the new design allows maximum cooling capacity for the heat-producing components in the system and provides support for the most powerful power supply units, the longest and most powerful graphics cards and 120 mm liquid cooling. The chassis blades are divided in three – the so-called Performance blade houses the graphics card of Trinity and is big enough to have enough room for the NVIDIA GeForce GTX Titan X and the AMD Radeon R9 290X graphic cards. The Storage blade houses all your storage devices and has enough room for up to three SSDs, two hard drives and a slim optical drive. Finally we have the CPU blade – it is compatible with mini-ITX motherboards for the latest Intel and AMD processors and supports up to 16 GB of DDR3 SDRAM. 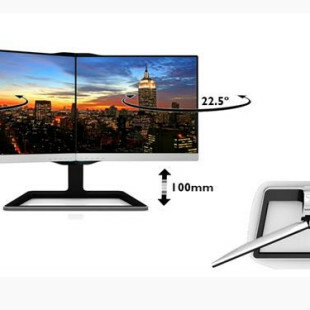 Apart from this news CyberPowerPC has updated the revolutionary Trinity line. We reported on the line back in January, listing some of the tech specs of the PCs but it appears things have not remained the same. CyberPowerPC has divided the Trinity line into three categories – Trinity 100, Trinity 200 and Trinity 300. As the names suggest the Trinity 100 is the slowest but cheapest system of the three. It comes with an AMD A10-7700K APU, 8 GB of DDR3-1600 SDRAM, a MSI A88XI AC FM2+ motherboard, GeForce GTX 750 Ti 2 GB graphics, a 120 GB SSD + 1 TB HDD storage combo, an 8x DVD burner and Windows 8.1 for a minimum suggested retail price of USD 955. The Trinity 200 sits in the middle – the system offers a Gigabyte Z97N-WiFi motherboard, an Intel Core i5-4690K unlocked CPU, 16 GB of DDR3-1600 memory, GeForce GTX 960 4 GB graphics hardware, a 240 GB SSD + 2 TB HDD storage combo, an 8x DVD-RW drive and Windows 8.1. The machine will cost USD 1339. The Trinity 300 is the fastest of the three – the computer has an ASRock X99E-ITX/AC motherboard, an Intel Core i7-5820K processor, 16 GB of DDR4-2400 memory, 240 GB SSD + 2 TB HDD storage combo, GeForce GTX 970 4 GB graphics, a 8x DVD-RW drive and Windows 8.1. The Trinity 300 will sell for USD 1795. 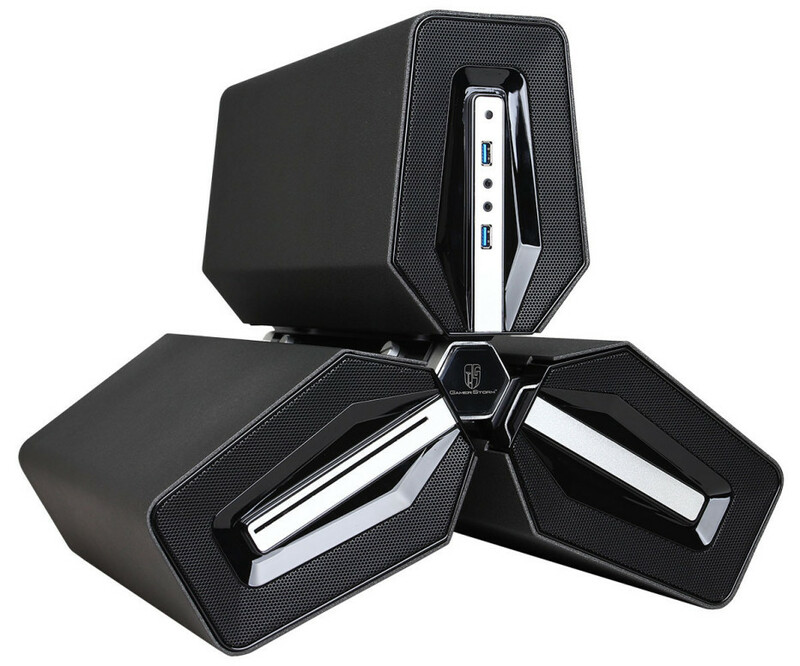 All three Trinity computers can be customized, if you are not satisfied with these three configurations, for a price, of course. Just be careful when handling a Trinity PC, though – the entire computer weighs 10.8 kg (23.8 lbs).